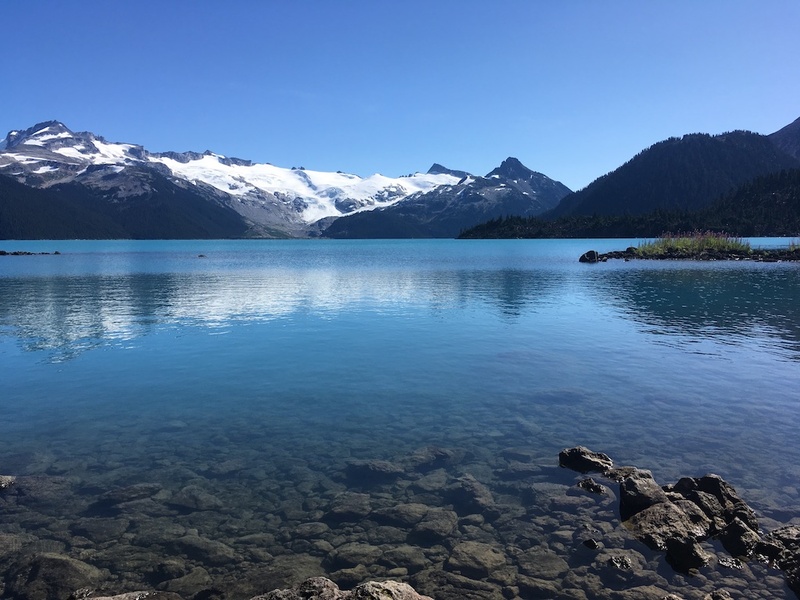 One of our favourite local tour destinations is Garibaldi Provincial Park. Fly the Fort and experience this breathtaking landscape from the sky. Sightseeing by air is the best way to enjoy all of the features that the park has to offer. A wildlife protected area, Garibaldi features mountains, glaciers, trails, forests, meadows, and waterfalls. Garibaldi also offers many different recreational activities such as hiking, climbing, ski touring, and sightseeing. Garibaldi Lake – Nestled between volcanoes, the stunning turquoise-coloured alpine lake always makes an impression. Garibaldi Lake was formed 9,000 years ago by lava flows that created the 2.1km long natural dam which blocked the valley. It is known as The Barrier. Meltwater from the large Sphinx Glacier to the east, and the Sentinel Glacier to the south, pooled and formed the lake. 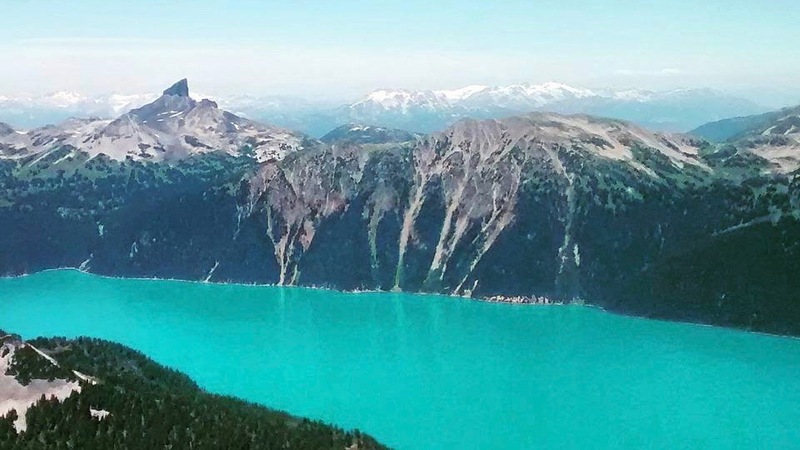 Garibaldi’s spectacular turquoise colour is due to glacial flour, which is suspended in the meltwater from its two primary inflows on the flanks of Mount Garibaldi. The Black Tusk – This formidable looking peak is considered to be the remnant of an extinct andesitic stratovolcano which formed between about 1.3 and 1.1 million years ago. The mountain is known as t’ak‘t’ak mu’yin tl’a in7in’a’xe7en in the Squamish language. It means “Landing Place of the Thunderbird” and the Thunderbird’s lightning is said to have created the iconic black and jagged tusk. Battleship Islands – Along the northwestern shore of the lake, a series of lava outcrops form the numerous tiny Battleship Islands, several of which have been connected to the shore by simple man-made stone causeways. Mount Price – This is one of the three main volcanoes in the southern segment of the Garibaldi Volcanic Belt. The breached volcanic crater visible from the air on Mount Price’s western flank is known as Clinker Peak, and was responsible for creating Garibaldi Lake. The Table – Another striking peak. Come fly above this flat topped 2,021-metre (6,631 ft) high mountain that is part of the Garibaldi Volcanic Belt, and the Cascade Volcanic Arc, which runs from southwestern British Columbia to northern California. 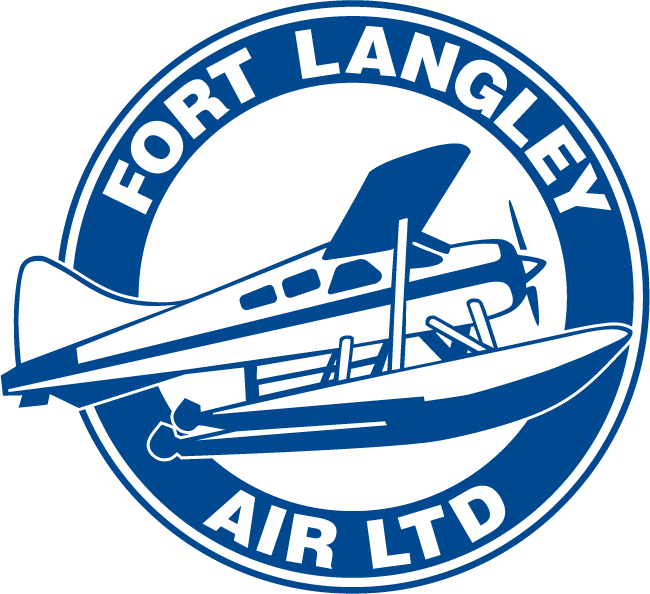 You can see Garibaldi Park from our Cessna 180 or our DCH-2 Beaver. Learn more.